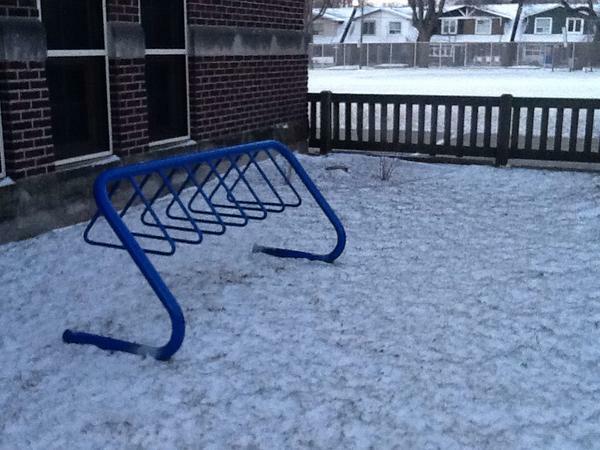 The cold is here and so is our bike rack! January 21st – 7pm: School Council Meeting (Click here for Agenda). February 2nd – 6-9pm: Earl Haig hosting Ward Council Meeting. Check out our lunch and snack menus. Now available online. Breaking News – Our New Bike Rack! This just in from Ms. Kelly. “Students in Grade 8 are continuing to explore options for Grade 9. Open houses at a few local schools will be held later this month (Riverdale -January 8th, Malvern – January 13th, and East York C.I. – January 14th). Students have all been registered with Myblueprint accounts and parents/guardians are encouraged to check these accounts with their child to support course selection. Later this month classes will make draft copies of course selection sheets that will be sent home for discussion and approval. Please check with your child about these later this month. You are encouraged to discuss course types with your child’s teacher(s) as well. 2 Board Games Clubs started this week. Last year the Primary group (Grades 1 & 2) had about 60 students and the Junior group (Grades 3 – 6) had about 35. These clubs are both very popular and we thank Ms. Kiosederis and Ms. Simon for making them so successful. Previous Previous post: Be Ready for January!